“She is Algol and Pleiades, she is Virgo and she is Venus, she is the power of cataclysmic possibility and she is the secret of immortality." 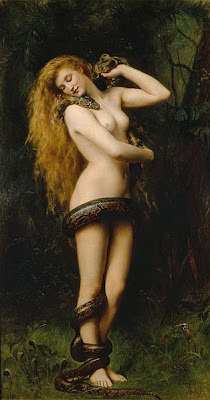 Lilith is often spoken of as a Dark Goddess, a Black Goddess – but we should be aware of what this really means. Robert Graves said in 1964: “The Black Goddess is so far hardly more than a word of hope whispered amongst the few who have served their apprenticeship to the White Goddess. She promises a new pacific bond between man and women, corresponding to a final reality of love… She will lead man back to that sure instinct of love which he long ago forfeited by intellectual pride”. What should also be remarked is that She is black and white, wet and dry. She is this paradox that knows no Mercy, because she is beyond good and evil, resting upon the wings of Grace. She – as White and Black is easily evoked by the call of the Red, the steady flow of the red current in the blackness of the Moon. She is earth, the black earth; Wisdom herself. She is the river of silver flowing over the blackness of the earth. She is the spirit of Ishtar standing naked in the hall of hooks and crooks upon the seventh step. She is the Holy Spirit, giver of Wisdom. She is the power of sacred communion, the spirit of sacred coitus where the elixirs red and white are offered up for her manifestation and rebirth. She is the Star of all sacraments and in her glorious manifestation man is prone to place the right foot in the left path and condemn himself. She is the Moon eclipsing the Sun and carries it to the realm of Death outside time – space – and orbit. She is the witness of all things stable and she is its tower. 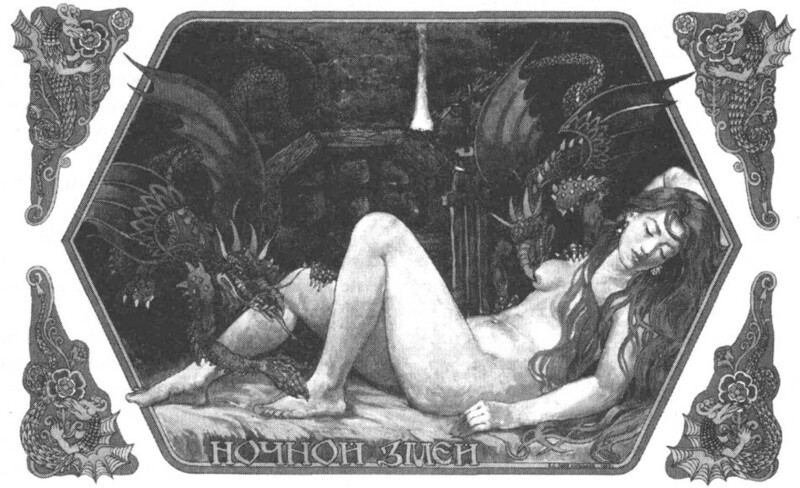 She is, the negrido itself – and the stone shining like a pearl from Algol in the mouth of the corpses of the saints. She is the Seventh sister and the sisterhood, She is the Virgin holding the Lamp – and she is the wet fog resting in the Milky Ways of the celestial sisters calling the Mothers of the Black Earth to bring Night Eternal upon the soul of every Man and every Woman. She is not the shadow of your psyche, your shadows and your demons are always of your own making. She is not feminist rebellion – but the celestial blood of woman’s becoming. She is not naught - but all in naught – and therefore in a world of flesh she will exalt in deceiving those who tries to subdue her with the tyranny of submission….